Mayweather Promotions CEO Leonard Ellerbe has no problem with Vasiliy Lomachenko trash talking with one of his fighters. 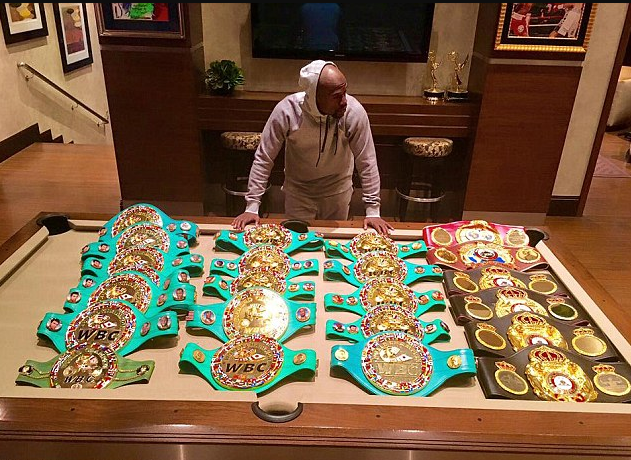 Ellerbe understands the fight game. Fighters bad-mouthing each other makes promoters’ lives easier. In this sport, you gotta sell, sell, sell. When Lomachenko called Gervonta Davis the best pound-for-pound fighter on Twitter, that’s fair game. When Lomachenko criticized Floyd Mayweather’s legacy, the unified lightweight champion crossed the line in the eyes of Ellerbe. A lot has been said in the past year, but Ellerbe wasn’t happy with Lomachenko saying Mayweather wasn’t an athlete. Lomachenko said those comments in March during an interview with Teddy Atlas on THE FIGHT podcast. Lomachenko said Mayweather and Davis put money first over making compelling bouts. Those comments resurfaced last week when Lomachenko claimed that he would go down to 130 pounds to fight Davis for free. That reminded Ellerbe about Lomachenko’s criticism of Mayweather. Ellerbe made it clear that he thinks Lomachenko is one of the best fighters in the world, and would love to see a fight with him and Davis. But he sees no point in Lomachenko bringing up Mayweather, the 50-0 retired boxing superstar and promoter. Lomachenko made quick work of Anthony Crolla with a fourth-round knockout on Friday at Staples Center in Los Angeles. Davis is scheduled for a homecoming bout in Baltimore this summer.